This THE PRETTY RECKLESS poster is rare. It is a promo only available at ticket outlets and music stores to promote their concert, part of the Medicine Tour. 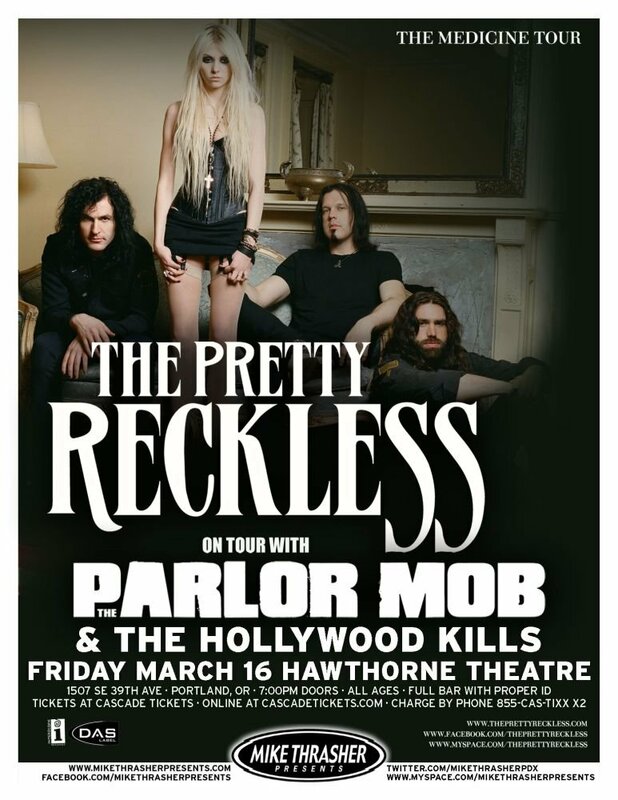 TAYLOR MOMSEN and bandmates are pictured, while warm-ups PARLOR MOB and THE HOLLYWOOD KILLS are listed.